~~~ MANIAMANIA explore other dimensions from planet earth for their new collection 'The Astral Plane’. Inspiration is drawn from the warped symbols and telepathic visions experienced by dreamers and astral travellers. Homage is paid to advocates of psychic and spiritual development such as The Theosophical Society established by Helena Blavatsky in 1875 and psychologist and dream analyst Carl Jung. For ‘The Astral Plane’ fantasy moods and divine wisdom mesh with the sensual styles and nature icons of the 1960s Art Nouveau revival. 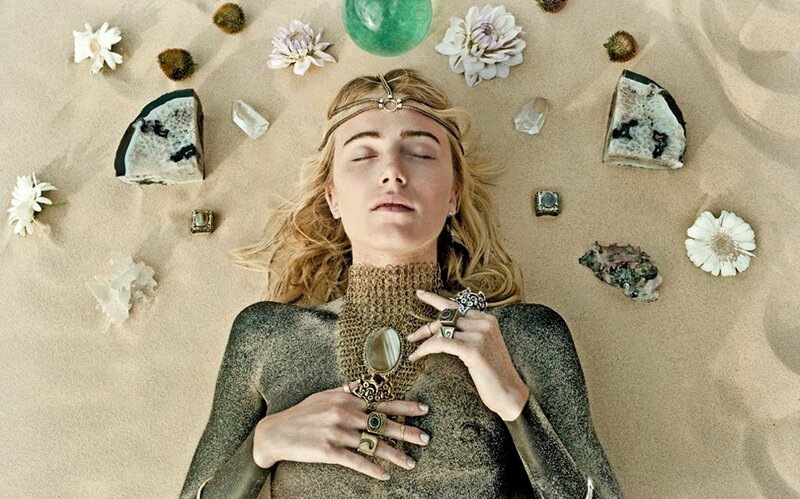 In pursuit of other dimensions MANIAMANIA decorate new regions of the body with dream-like pieces in silver, brass, grey chalcedony, agate, turquiose and clear quartz.